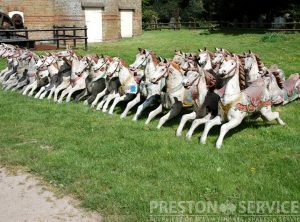 From an English Galloper Set, c1900. Very rare, full (adult) size. 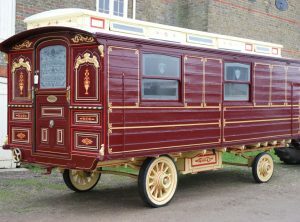 A very original road rail van, c1900. 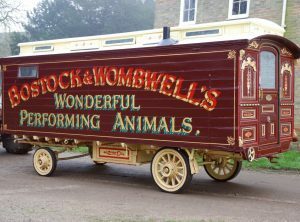 A 17 Ft showmans living van. 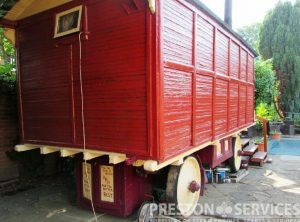 Panelled wood construction with Mollycroft roof and on wooden chassis. Solid rubber tyred wheels. Fitted mahogany interior with bunk beds and cupboards, etc. Handsome cast iron ‘Bonnybridge’ Dover range. Belly boxes and other fittings. 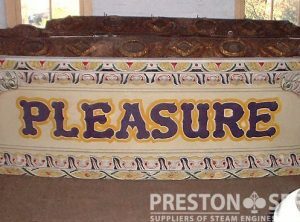 Available for sale in good condition. 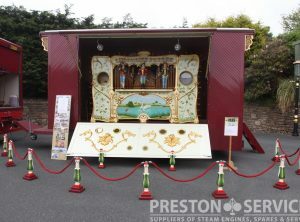 This 1906 Limonaire 87 key fairground organ has been fully restored and is now in excellent condition. 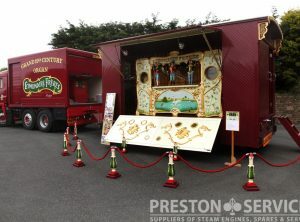 Available for sale in custom built trailer and complete with 120 books of music. ERF box body tractor unit available seperately. 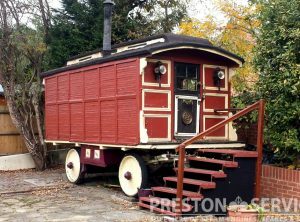 In excellent condition, this is equipped with silent generator set and is ready for the road, price GBP 10,000. 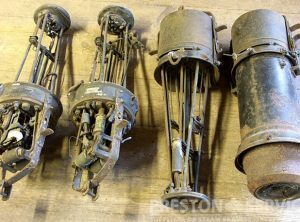 ‘Excello’ brand by Westingouse Electric Co, USA, made c1880’s. 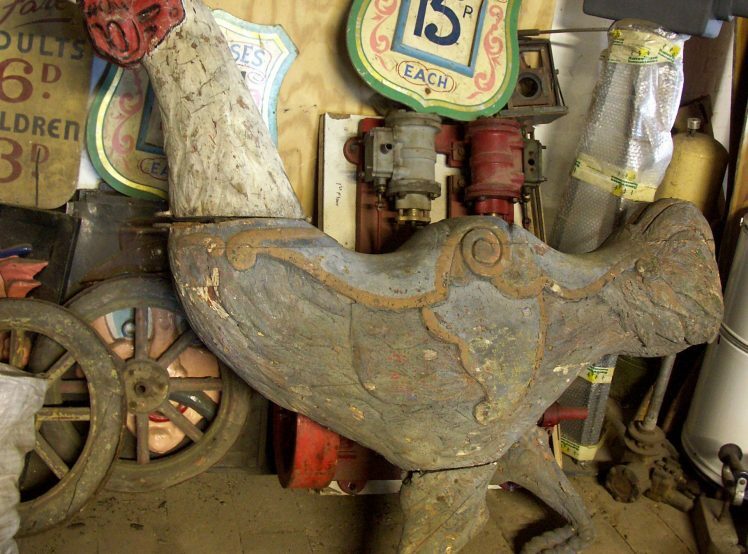 Special high intensity lamps with hanging brackets, designed for use in theatres, these examples were used for lighting a fairground showfront. 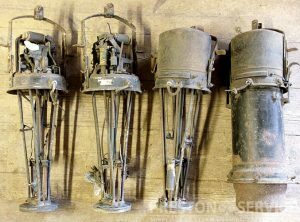 Very rare lamps, in reasonable original condition. By Orton & Spooner Carvers, c1900. 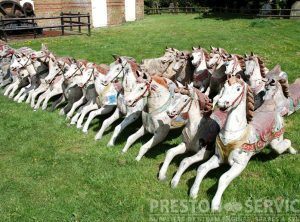 This ‘herd’ of original carved wooden galloper horses came from the same ride, and are mostly Savage type and Arthur Anderson (carver). 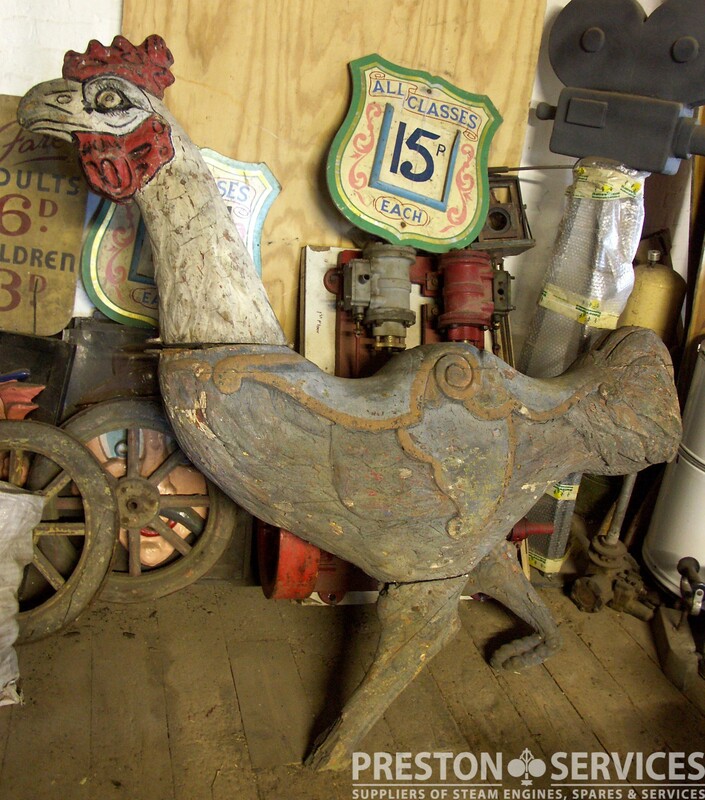 Mostly middle and outer row, some well carved examples, all needing restoration and in varying conditions from poor to good. Available individually or as one lot. Original carved wood rounding boards.